Breakfast, as some of you know is my favorite meal of the day. On Sunday mornings I like to make a coffee cake or scones or something that takes a little more effort. It is the morning that I like to enjoy my time around the kitchen and try out new recipes or sometimes my old favorites. But on Sunday mornings when there isn’t as much time I love to make recipes like the one that I am writing about in this post. Our kids were at our house this past Sunday; I was planning a nice Sunday dinner. Our daughter Krista was here from Chicago so everyone wanted to come and see her. Our son Jon and his fiance Brianna came late morning and were not able to stay for dinner, so I decided to have some brunch for them. I didn’t want to spend my time in the kitchen all day making brunch and dinner, so I decided on a overnight French toast. I have made a couple of other recipes of this kind and the family loved them and I loved the ease of making it. Overnight Apple-Cinnamon French Toast, doesn’t that sound like it would be perfect for a fall breakfast? I always love the smell of apples and cinnamon baking and it fills the house with an amazing aroma. Mike and I put this French toast together on Saturday night, it didn’t take long to assemble and when we were done we stuck it in the refrigerator for overnight. In the morning I popped it in the oven about an hour before we wanted to eat and it came out smelling wonderful. 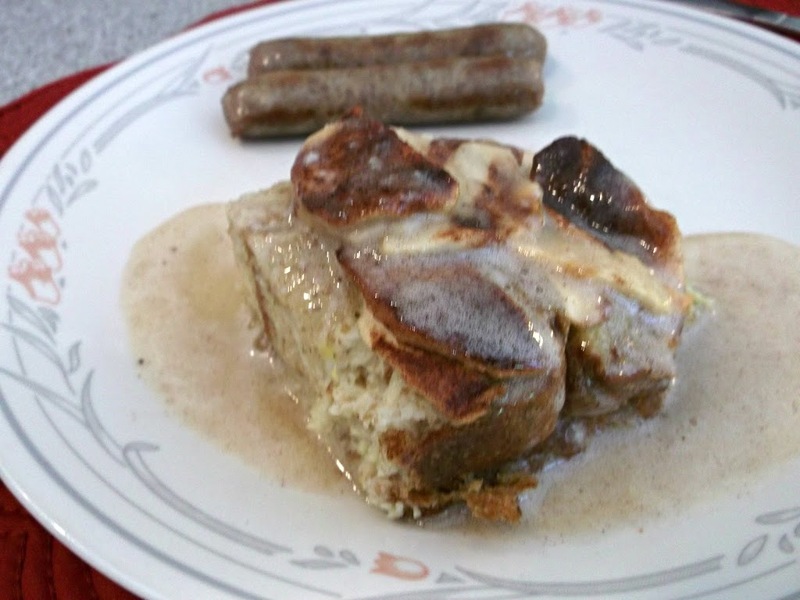 I served this with a homemade cinnamon syrup that I have posted in the past or you can serve it with your favorite syrup. I am sure that this recipe will become one of old favorites. 1. Use nonstick cooking spray or butter to grease a 9 x 13 pan. 2. Cut the bread into 1.5 inch slices and pack them tightly into the prepared pan in one layer. 3. In a large bowl, stir together eggs, milk, 1/2 cup sugar, and vanilla. Pour half of this egg mixture over the bread slices. 4. 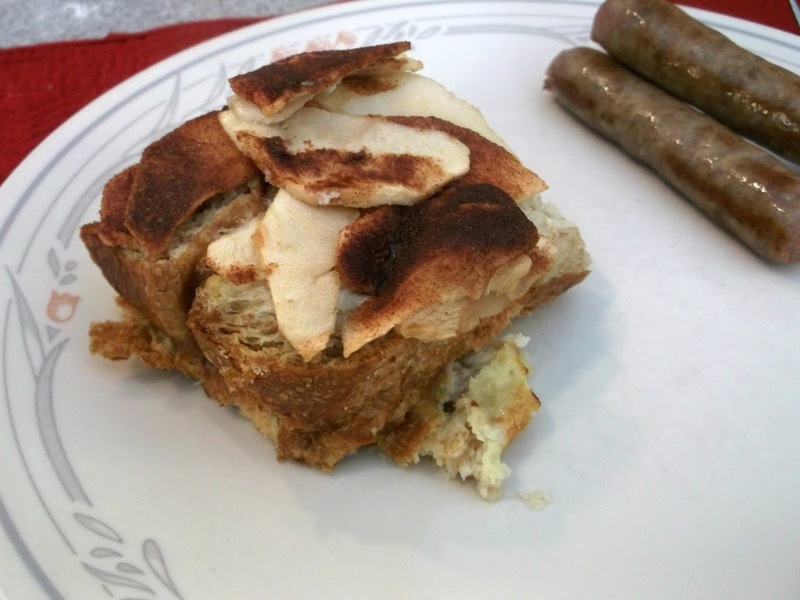 Distribute the apple slices over the bread, and top with the remaining egg mixture. 5. In a small bowl, combine the remaining 3 tablespoons sugar and cinnamon sprinkle this mixture evenly over everything in the pan. Dot with butter. 6. Cover the whole thing and refrigerate overnight or for 6 plus hours. 7. The next day or when ready to bake, uncover the pan and bake in a preheated 350 degree F oven for 50-60 minutes. Let stand for about 10 minutes, then cut into squares and serve warm, with your favorite syrup. I love this for breakfast look amazing! What a delicious and elegant breakfast. I love the idea of a breakfast casserole like this all ready to pop in the oven! Absolutely delicious! I love recipes you can prepare ahead of time! 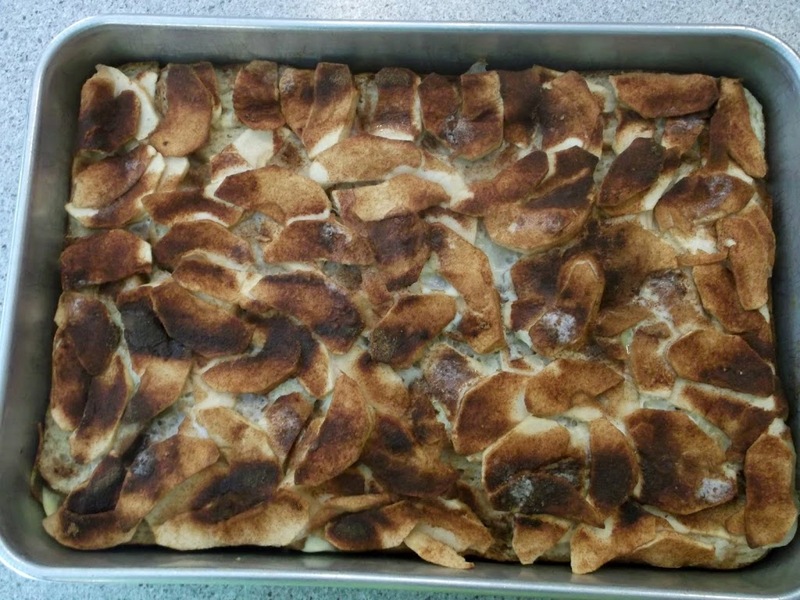 And the flavor of apples and cinnamon combine so well – this must taste amazing. Really good stuff – thanks. I love this! I know what to do with some of my bushel of apples!